Latrelle Lee dismissed from team and university. Tennessee State defensive end Latrelle Lee is no longer a member of the football team or a student after punching a coach during Saturday’s game. The incident was caught on camera when Lee punched head strength coach T.J. Greenstone twice in the head knocking him to the ground. Lee has since been dismissed from both the team and the university, according to a release from the university. “We, of course, do not condone any act of violence within our department and are very disturbed by the action of one of our students. We are committed to supporting the coach who was personally affected and our concern now is with him.” Director of Athletics Teresa Phillips said in a statement. Saturday’s game against Southeast Missouri should have been a celebration for Lee, who is a senior for the Tigers. It was senior day and the final home game of the year at Hale Stadium. Visually there’s no indication of what would have caused the violent episode from Lee. Greenstone, the “Get-Back” coach during games, is seen telling players to step back from the sideline to avoid any penalties. Coaches telling players to back up during a game is a common occurrence for all levels of organized football. For some reason, Lee decided to punch Greenstone. Lee, who has played sparingly this season, hadn’t participated in Saturday’s game. 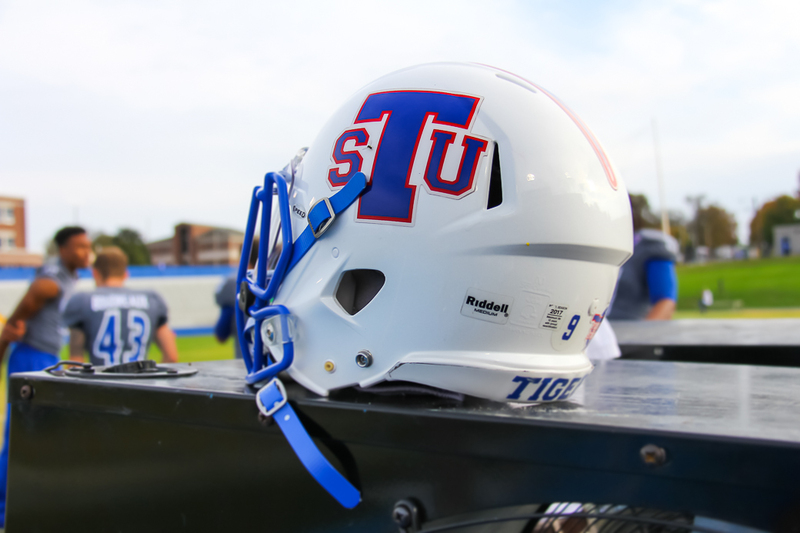 TSU won the game 23-20 and will be back in action to close out the season at #3 Jacksonville State on Thursday night.